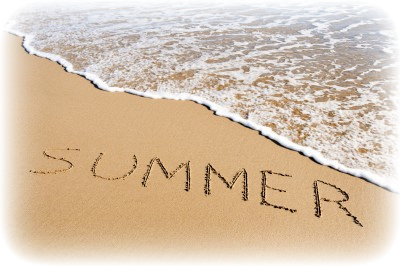 In preaching terms, summer is not a season of three months, it is a season of a few weeks. It is a season when significant proportions of the congregation are missing on any given Sunday. It is a season when significant proportions of those present are mentally missing, reminiscing or anticipating. Somehow summer seems to drain focus from a congregation. The natural response of the preacher is to resent this intrusion into the focus of the folks in the pew. Yet perhaps a church needs the summer pace change as much as families and individuals do. In some cultures a church may shut for a couple of Sundays (since everyone has fled to the coast anyway), but maybe a change is as good as a rest. 1. Preach more stand-alone messages, rather than series that require regular attendance. Few, if any, will manage to hear a full summer series. 2. Use the opportunity to balance the preaching schedule. Perhaps you’ve been pounding out the gospels for a while, or epistles have become the staple diet. Consider some time in the Psalms, or Proverbs, or the Prophets. 3. Don’t feel bad about being engaging and interesting. Actually, consider being that way year round. However, if you are normally a high intensity communicator, consider lowering that intensity for the next weeks. 4. If you are the weekly preacher, share your pulpit. It may be a bit late for this year, but why not invite others to preach during these weeks? It could be a pulpit swap with another church in the area. Perhaps even better, it could be a chance to mentor some of the potential preachers in your church. What do you do differently from the pulpit during the summer weeks? Preaching – Spiritual Gifts, Learned Skills, And . . . ? God's throne is solid, and that is a great thing for us all! How to . . . ? BiblicalPreaching.Net by Peter Mead is licensed under a Creative Commons Attribution-Non-Commercial-No Derivative Works 2.0 UK: England & Wales License.